Internet access to ARRL Headquarters will be disrupted briefly on Sunday, June 10, as AT&T performs a required security upgrade and reboots an onsite router. The work will take place between 0400 and 1000 UTC. All internet access at Headquarters will be disrupted during the upgrade; all services will automatically resume as soon as connectivity is restored. Affected systems include email, bulk mail, reflectors, Logbook of The World (LoTW), DXCC, National Parks on the Air (NPOTA), and the ARRL Development page. The ARRL website will remain available. Any orders taken on the website during the outage should be queued for transmission once connectivity returns. ARRL has no control over the time or length of the outage, which could be very short. We regret any inconvenience. In the wake of an investigation resulting from a 2017 ARRL complaint, the FCC has proposed fining HobbyKing and associated entities $2.8 million for apparently marketing noncompliant RF devices and failing to comply with Commission orders. According to a June 5 FCC Notice of Apparent Liability (NAL), HobbyKing appears to have sold audio/video (A/V) transmitters intended for use with unmanned aircraft, such as drones, in some instances marketing them as Amateur Radio equipment. "The Enforcement Bureau previously issued a Citation notifying HobbyKing of its legal and regulatory obligations and ordering it to cease and desist from marketing noncompliant equipment," the FCC said in the NAL. "Additionally, the Bureau issued a Citation against HobbyKing for failing to fully respond to a Letter of Inquiry. Despite these Citations, HobbyKing has continued its apparently unlawful practices." HobbyKing had denied that it was marketing its drone transmitters to US customers, but ARRL's January 2017 complaint pointed out that ARRL Laboratory Manager Ed Hare, W1RFI, was able to purchase two drone transmitters from HobbyKing and have them shipped to a US address for testing in the Lab. In his 2017 letter to the FCC Spectrum Enforcement Division, ARRL General Counsel Chris Imlay, W3KD, described the transmitters as "blatantly illegal at multiple levels," and noted that they used frequencies intended for navigational aids, air traffic control radar, air route surveillance radars, and global positioning systems and not Amateur Radio frequencies, as the marketer had purported. ARRL told the Enforcement Bureau in 2017 that the devices "represent a real and dangerous threat to the safety of flight, especially when operated from a drone platform that can be hundreds of feet in the air." Hare and ARRL Lab staffers Mike Gruber, W1MG and Bob Allison, WB1GCM, tested the units. Imlay credited ARRL Central Division Director Kermit Carlson, W9XA, and the Electromagnetic Compatibility Committee he chairs, for calling attention to the issue and prompting ARRL's action. In a related news release this week, the FCC said that while HobbyKing represented that its transmitters operated in designated Amateur Radio bands, the Commission's investigation uncovered that 65 models could also apparently operate outside of the ham bands. The FCC noted that Amateur Radio equipment used to telecommand model craft are limited to 1 W (1,000 mW), but three transmitters included in the NAL "apparently operate at significantly higher power levels of 1,500 mW and 2,000 mW." "The Commission generally has not required amateur equipment to be certified, but such equipment must be designed to operate only in frequency bands allocated for amateur use," the NAL said. "If such equipment can operate in amateur and non-amateur frequencies, it must be certified prior to marketing and operation." The FCC also said in its NAL that consumers who own such HobbyKing devices "should cease using them immediately or risk enforcement action." This week, the FCC also issued an Enforcement Advisory cautioning that drone transmitters must comply with FCC rules in order to be marketed to customers in the US, and that operators must comply with FCC rules. In its 2017 complaint, ARRL cited the Lawmate transmitter and its companion 6 W amplifier as examples of problematic devices being marketed in the US. "However, many A/V transmitters that purport to operate on amateur frequencies also operate on frequencies that extend beyond the designated amateur frequency bands," the advisory said. "If an A/V transmitter is capable of operating outside of the amateur frequency bands, it cannot be advertised, sold, or operated within the United States without an FCC equipment certification. Individuals without an amateur license may not use such radio equipment, if it is designed solely for use by amateur licensees." Imlay said the FCC action addressed "another of many instances in which unscrupulous importers import and market products in the US touted as Amateur Radio equipment but actually marketed to the general public, and which, in this case, have a high potential for abuse and interference to other radio services and to radio amateurs." Imlay characterized the FCC NAL as an important "line in the sand" aimed at keeping companies from encouraging the general public to use the amateur bands without a license. On May 23, the US House version of the National Defense Authorization Act (NDAA) that included the language of the Amateur Radio Parity Act (HR 555) cleared the House. The following day, a fiscal year 2019 Financial Services appropriations bill also containing Parity Act language cleared the Financial Services and General Government subcommittee of the House Committee on Appropriations and is now working its way through the full Appropriations Committee. As a result, the Parity Bill has attracted some attention from outside the Amateur Radio and homeowners association (HOA) communities. ARRL Hudson Division Director Mike Lisenco, N2YBB, who chairs the ARRL Board's Ad Hoc Legislative Advocacy Committee, called attention to a recent Politico article that addresses the challenges the bill faces. On May 25, Politico reported, "Lawmakers are making a multi-pronged push to drive the bipartisan Amateur Radio Parity Act through Congress and finally bypass objections from top Senate Commerce [Committee] Democrat Bill Nelson of Florida, whose allegiance to his state's homeowners associations drove his panel to yank the bill from consideration last fall. The legislation, H.R. 555, would direct the FCC to let Amateur Radio operators get around private rules, like those imposed by some HOAs, that keep them from putting up radio antennas." Politico cited a spokeswoman for the US House sponsor of the Parity Act, Representative Adam Kinzinger (R-IL), who told the journal that Kinzinger is "hopeful that Senator Nelson will see its value." "When disaster strikes and the power goes out, like when Hurricane Irma hit Senator Nelson's home state of Florida back in September, Amateur Radio operators become critical to emergency response efforts," Kinzinger's spokeswoman said. At this point, it's unclear how the Parity Act language or legislation will fare in the US Senate. The measure's Senate sponsor, Senator Roger Wicker (R-MS), told Politico that it would suit him to see the Senate follow the lead of the House in the matter. "I think we've done enough that Senator Nelson's concerns should have been answered," Wicker was quoted as saying. ARRL General Counsel Chris Imlay, W3KD, has stressed that the Parity Act "does entitle each and every Amateur Radio operator living in a deed-restricted community to erect an effective outdoor antenna. Full stop. That is the principal benefit of this legislation." Read more. The FCC has turned away a Petition for Rulemaking from a Michigan radio amateur that asked the Commission to amend Section 97.205 of the Amateur Service rules to ensure that repeaters using digital communication protocols do not interfere with analog repeaters. Charles P. Adkins, K8CPA, of Lincoln Park, had specifically requested that discrete analog and digital repeaters be separated either by distance or frequency and that digital repeaters be limited to 10 W output, the FCC recounted in its June 1 denial letter, released over the signature of Scot Stone, the deputy chief of the Wireless Telecommunications Bureau's Mobility Division. According to the letter, Adkins had characterized digital repeaters as "a major annoyance" to analog repeater operators. "In 2008, we rejected a suggestion to amend Section 97.205(b) to designate separate spectrum for digital repeaters in order to segregate digital and analog communications," the FCC said in its letter to Adkins. "We noted that when the Commission has previously addressed the issue of interference between amateur stations engaging in different operating activities, it has declined to revise the rules to limit a frequency segment to one emission type in order to prevent interference to the operating activities of other Amateur Radio Service licensees." 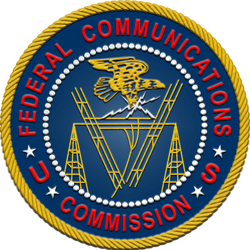 The FCC told Adkins that current Part 97 rules already address the subject of interference between amateur stations, prohibiting, among other things, willful or malicious interference to any radio communication or signal, and spelling out how interference disputes between repeaters should be handled. "Field Day Antennas" is the topic of the latest (June 7) episode of the "ARRL The Doctor is In" podcast. Listen...and learn! A new edition of The ARRL Ham Radio License Manual is now available. The exam question-and-answer key is built from the latest entry-level Technician-class question pool, which goes into effect on July 1, 2018. Intended for newcomers, instructors, and teachers, this comprehensive manual covers everything needed to pass the 35-question exam. It also includes information aimed at helping newcomers get started in Amateur Radio, from selecting equipment, setting up a station, and making that first contact. The 4th edition of The ARRL Ham Radio License Manual is available in softcover, spiral-bound, or e-book versions. Designed for self-study and classroom use, with the optional academic-style spiral-bound edition (ARRL Item no. 0826, ISBN: 978-1-62595-082-6, $32.95), the manual lies flat, making it more convenient for all newcomers, instructors, and teachers. 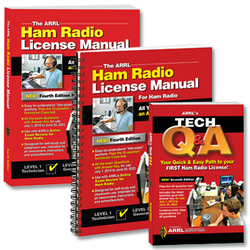 The ARRL Ham Radio License Manual may be used in conjunction with ARRL's Tech Q&A (7th edition) and ARRL's online Exam Review for Ham Radio, so prospective licensees won't have any surprises on test day. The ARRL Ham Radio License Manual is also available in traditional softcover format (ARRL Item no. 0871, ISBN: 978-1-62595-087-1, $29.95). ARRL Technician-class license materials are available from the ARRL Store and your local ARRL dealer. To place an order, call ARRL Publication Sales, toll-free in the US, at (860) 594-0355 or (888) 277-5289. In addition to the hard-copy manuals, ARRL has released a digital edition of The ARRL Ham Radio License Manual in Kindle format from Amazon. ARRL also offers Kindle editions of The ARRL General Class License Manual, The ARRL Extra Class License Manual, and its question-and-answer study guides, ARRL's Tech Q&A, ARRL's General Q&A, and ARRL's Extra Q&A. The 2018 KH1/KH7Z Baker Island DXpedition, set to begin on June 27 and continue until July 7, is preparing for less-than-ideal conditions. The sponsoring Dateline DX Association (DDXA) said this week that its 15 operators are planning to maximize the times they will be available to work into propagation-challenged regions of the world. Their effort will include round-the-clock operation on 20 meters. DDXA has permission from the US Fish and Wildlife Service to conduct an Amateur Radio expedition to Baker Island National Wildlife Refuge (KH1). "The 2018 DXpedition to Baker Island occurs during the declining side of the solar cycle where propagation is usually much, much worse, nearing the bottom," a Baker Island DXpedition news release pointed out this week. "In addition, there are limited hours of darkness in some Northern Hemisphere locations." The DXpedition has embedded tools on its website that DXers can use to run propagation forecasts specific to grid square and "station properties." "We have also run these forecasts by geographic area to know when we should be listening for you," the DXpedition organizers said this week. "The forecasts are grim." "Our network of worldwide pilots will also report how well we are being heard in your area to keep us abreast of propagation," the news release added. Operation is planned on SSB, CW, RTTY, and FT8. The DXpedition's permit restricts antennas to 43-foot verticals. "We will be using SteppIR [verticals] and special-design antennas to take advantage of the saltwater ground," the release said. KH1/KH7Z will also use FT8 to find openings that may not be all that obvious and to serve as a beacon. "When we find an opening, we will put as many radios/modes/ops on as we can," the organizers pledged. The DXpedition will use the latest version of WSJT-X software to incorporate the FT8 "DXpedition Mode." Baker/Howland Islands (KH1) is the fifth most-wanted DXCC entity. Read more. Acting on a recommendation from Senate Minority Leader Chuck Schumer, President Donald Trump has nominated FCC Enforcement Bureau Assistant Chief Geoffrey Starks to fill the Commission's sole open seat. If confirmed by the US Senate, Starks would fill the seat vacated by Mignon Clyburn. Both are Democrats. Republican nominees have a 3-2 advantage on the FCC, which is headed by Chairman Ajit Pai. Starks' term would end in 2022. Commissioner Jessica Rosenworcel is the other Democrat on the FCC. 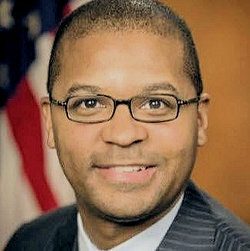 An attorney who holds degrees from Harvard University and Yale Law School, Starks has worked in government for most of his career and joined the FCC staff in late 2015. Before taking his current job in the Enforcement Bureau, Starks worked for the Justice Department. Rosenworcel congratulated Starks on his nomination and said he would be "a welcome addition" to the Commission. Clyburn called Starks "a sharp communications attorney committed to public service." Republican Commissioner Michael O'Rielly said Starks "will bring a new voice to important debates before the Commission." 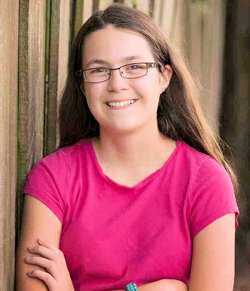 Thirteen-year-old Faith Hannah Lea, AE4FH, of Palm Coast, Florida, will be the only representative of International Amateur Radio Union Region 2 (IARU R2) at the Youngsters on the Air (YOTA) camp, August 8 - 15 in South Africa. Faith Hannah has mounted a GoFundMe campaign to help cover her trip expenses. "When I was chosen to go to South Africa for the YOTA summer event, I was thrilled that the committee thought I was one of the best choices to represent the United States," Faith Hannah said. "With the help and generosity of other hams, I will be able to go to South Africa for the summer event and learn more about Amateur Radio and other cultures. I am extremely thankful for any and all donations. To everyone who donates, thank you." Licensed at age 10 and now holding an Amateur Extra-class license, Faith Hannah is very active on the airwaves and in promoting Amateur Radio via YouTube and elsewhere. She has been a presenter at the Hamvention Youth Forum. Faith Hannah comes from an all-ham family. Her dad, James, is WX4TV; her mother, Michelle, is N8ZQZ; her brother, Zechariah, is WX4TVJ; one sister, Hope, is KM4IPF, and her other sister, Grace, is KM4TXT. Faith Hannah will be traveling to South Africa from Florida in early August with her father. The South African Radio League (SARL) will host 80 young hams between the ages of 16 and 26 at the 2018 YOTA camp, where it's expected they will spend some time at the helm of the camp's station, ZS9YOTA. The ARRL Foundation has announced two new scholarships available to young radio amateurs to support their post-secondary education, bringing the total number of scholarships the Foundation administers to 81. The new scholarships have been endowed by the East Coast Amateur Radio Service (ECARS) and the Palomar Amateur Radio Club (PARC). Applicants for the ECARS scholarship must be performing at a high academic level and pursuing full-time studies at a 2-year vocational school or 4-year undergraduate degree-granting institution, with no restrictions on the applicant's field of study. ECARS Scholarship applicants must be between 17 and 25 years old at the time of the award and reside in the general ECARS coverage area, which includes the ARRL Atlantic, Great Lakes, Hudson, New England, and Roanoke Divisions (Connecticut, Delaware, Kentucky, Maine, Maryland/DC, Massachusetts, Michigan, New Hampshire, New Jersey, New York, North Carolina, Ohio, Pennsylvania, Rhode Island, South Carolina, Vermont, Virginia, and West Virginia). The scholarship award will be $1,000 annually. ECARS will submit an annual contribution for its scholarship. Applicants for the PARC scholarship must be high school seniors performing at a high academic level and accepted at an accredited college, university, junior college, or a vocational-technical school in the US. They should demonstrate activity and interest in radio service or technical proficiency by participating in some form of radio-related activity, such as emergency communications, equipment construction, or community service. Preference will go to applicants who live in San Diego or Imperial counties, California. Applicants are encouraged to be members of PARC. The scholarship award(s) will be $1,000 annually, with the first scholarship awarded in 2019. The PARC Scholarship Fund Committee will determine the number of scholarships to be awarded each year. The PARC scholarship is endowed with a $25,000 gift from the club. The ARRL 2018 Field Day Site Locator is live, and public service announcements are available. ARRL Field Day is June 23 - 24; the full Field Day announcement is in the May issue of QST, page 85. The Field Day site locator is now up and running, and, to date, some 900 sites are already in the database. To find a Field Day site near you, type your town and state in the "Location or Call Sign" box at the upper left. Listings are also available by state or Canadian province. To add a site, visit the Add Field Day Station page. Amateur Radio public service announcements (PSAs) for event publicity are now available in audio or video formats. Local versions have room at the end for clubs to add a tag that includes contact information. Each spot is 29 seconds. Notify ARRL if you are able to place these PSAs for radio, TV, or cable system airtime, and let us know if your club tagged a PSA with local contact information to promote your club. More information is available to promote ARRL Field Day. Visit the Field Day social media page for information on promoting your Field Day operation via Facebook, Twitter, Instagram, LinkedIn, and YouTube. 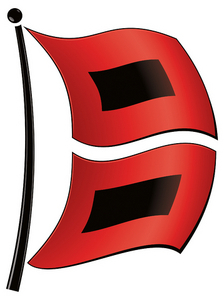 ARRL will sponsor a 2018 Atlantic Hurricane Season webinar on Monday, June 11, at 8 PM ET (0000 UTC on Tuesday, June 12 UTC in US time zones). The approximately 90-minute session will address the role of Amateur Radio during the 2018 hurricane season. Anyone interested in hurricane preparedness and response is invited to attend this online presentation. Those planning to attend should register in advance. Topics will include a meteorological overview from the Canadian Hurricane Centre of the upcoming season; Amateur Radio station WX4NHC at the National Hurricane Center: Who We Are and What We Do; ARRL Media and Public Relations; the Hurricane Watch Net (HWN); the VoIP Hurricane Net; Salvation Army Team Emergency Radio Network (SATERN), and ARRL coordination and interface. Webinar registration is open to all. The webinar will conclude with a Q&A session. 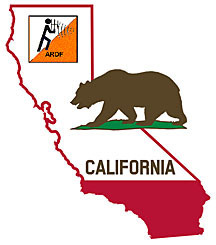 For additional information, contact ARRL Emergency Preparedness Manager Mike Corey, KI1U. The World Radiosport Team Championship 2018 (WRTC 2018) Organizing Committee reports that all of the station sites it's selected for the July event in Germany "are perfect for the competition." A WRTC 2018 news release said this week, "The inspections proved that there are enough very well-suited sites with no topographical or interference problems." The aim of the exercise is to ensure a level playing field for all competing teams in terms of location. Ulrich Weiss, DJ2YA, and Frank Neumann, DM5WF, carefully inspected more than 80 possible WRTC 2018 sites in the region around Muehlberg, Jessen, and Jueterbog. Neumann noted that five sites did not meet their criteria and will be replaced with backup sites that they also inspected. WRTC 2018 has a last-minute opening for a team leader on a wild card team, with DL1CW as the teammate. The deadline to apply is June 9, 2359 UTC. Applicants should explain why they are applying as team leader. The story "Radio Amateurs to Swap Spots on International Space Station (ISS) Crew" in the May 31 edition of The ARRL Letter, failed to include the call sign of Serena Auñón-Chancellor, KG5TMT. Tad Cook, K7RA, Seattle, reports: Sunspots vanished again after appearing each day from May 21 through June 4. Average daily sunspot numbers for the May 31-June 6 reporting week dropped from 26.3 to 12.9. Average daily solar flux declined from 74.9 to 73.2, the average planetary A index increased from 3.9 to 11.7, and the average mid-latitude A index increased from 4.7 to 10.4. 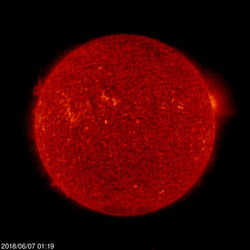 Predicted solar flux is 70 on June 7-9; 72 on June 10-17; 70 on June 15-17; 74 on June 18-23; 72 on June 24-30; 73 and 72 on July 1-2; 70 on July 3-7; 72 on July 8-14; 74 on July 15-20, and 72 on July 21. Predicted planetary A index is 5 on June 7-12; 10 on June 13-14; 5 on June 15-18; 8 on June 19; 5 on June 20-26; 15, 28, and 18, on June 27-29; 10 on June 30-July 1; 8 on July 2; 5 on July 3-9; 8 on July 10; 5 on July 11-15; 8 on July 16, and 5 on July 17 - 21. The Northern Hemisphere summer solstice arrives on June 21, just before ARRL Field Day. Around this time of year, we should see sporadic-E propagation on 10 meters and sometimes on 6 meters. Sunspot numbers for May 31-June 6 were 21, 22, 20, 16, 11, 0, and 0, with a mean of 12.9. The 10.7-centimeter flux was 76.8, 74.8, 74.4, 73.6, 70.5, 71.3, and 71.1, with a mean of 73.2. Estimated planetary A indices were 12, 26, 17, 9, 5, 6, and 7, with a mean of 11.7. Estimated mid-latitude A indices were 11, 19, 14, 9, 5, 6, and 9, with a mean of 10.4.